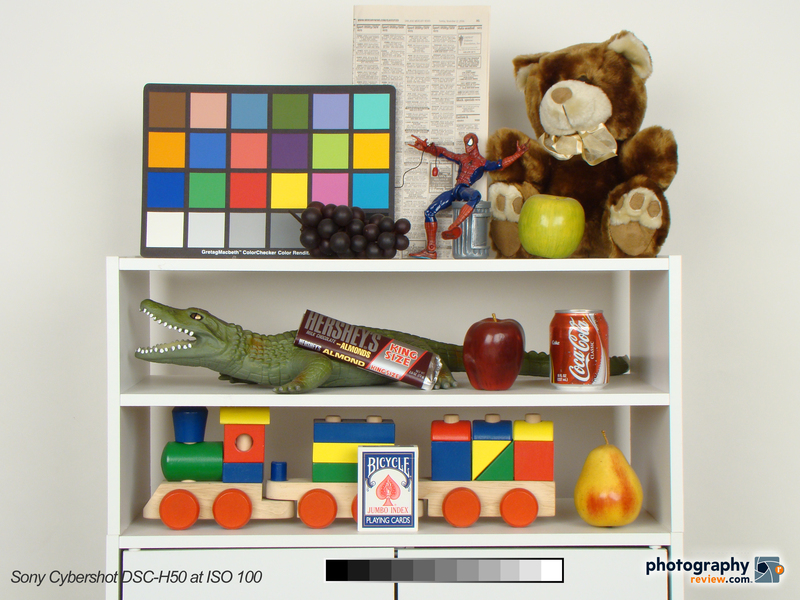 A studio test of the Sony Cybershot DSC-H50 digital camera, at ISO 100. This photo is untouched except for the addition of the text, graybar, and logo. It was then resaved as a maximum quality JPEG, in Photoshop. White balance was set to the camera's tungsten preset. Click on the photo to see the high-res image.